The international film community celebrates the centenary of important directors on a regular basis, but only a handful of such celebrations reach a wider audience. This year’s major subject is Kurosawa Akira (born 23 March 1910), who could reasonably claim to be the first globally acknowledged ‘master of cinema’ during the 1950s and early 1960s. In a long film career of over 50 years he directed 30 features – all of which have been remembered and many of which have been screened again somewhere this year – not least on home DVD systems. Our own mini-season of Kurosawa films on the big screen kicks off in Bradford towards the end of August. There will be just five films with possibly one or two others elsewhere in the region, so I’m hoping we can blog on a few more and develop some ideas. 1. 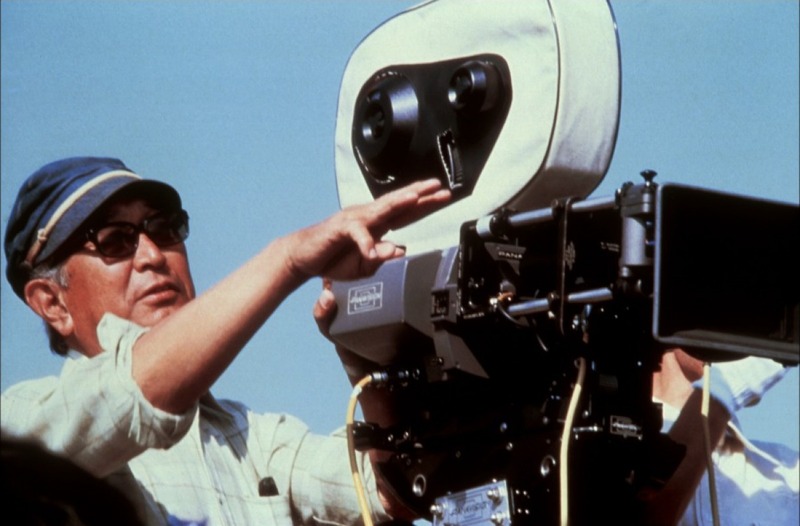 His career spanned several key periods in both Japanese and global film history. He began work in 1936 under a form of apprenticeship in the Japanese studio system, gradually developed an autonomous position within Toho, established his own company and worked co-operatively with other directors, flirted with Hollywood and became in effect a global film producer. 2. His career also spanned momentous changes in the social, economic and political history of Japan – crucial conjunctural events in his filmmaking experiences. 3. With education and interests that covered both traditional Japanese cultural achievements and the diversity of influences from elsewhere in Asia, Europe and North America, Kurosawa became the centre of problematic debates about his ‘most Western’ status amongst Japanese critics. 4. Outside Japan, Kurosawa joined Bergman, Fellini, Antonioni, Satyajit Ray, Andrjez Wajda and a few others as central figures in the humanist art cinema of the 1950s which dominated the new international film market. 5. Like John Ford, the American director he so admired, Kurosawa had his own stock company dominated by two very different actors, Shimura Takashi and Mifune Toshiro. 6. Recently some critics have identified a homo-eroticism in many of Kurosawa’s films and questions have been raised about the lack of major female characters in his films – certainly in comparison with other ‘Japanese masters’ such as Ozu, Mizoguchi and Naruse. All too often, Kurosawa is tagged as an action director and associated with the ‘samurai movie’. Although he certainly made several important historical films with samurai warriors in central roles, he also made several important ‘contemporary films’ and in so doing, displayed a wide knowledge of film styles and aesthetics, both Japanese and Western. We’ll attempt to range across Kurosawa’s whole output. This entry was posted in Directors, Japanese Cinema and tagged Kurosawa Akira. Bookmark the permalink.